It's no secret that traveling by car is one of the most dangerous things you can do. In fact, not only are there 6 million car accidents every year in the U.S. but p to 52% of personal injury cases are also related to motor vehicle accidents. Everyday car accidents are caused by many different factors including poor weather conditions, car malfunctions, distracted driving, and driving while intoxicated. But, despite the dangers, many drivers continue to drive recklessly. What types of fatal car accidents are there? Car accidents happen every day and many of them are avoidable. But there are several types of car accidents that can cause severe injury or even death that are related to personal injury law. Distracted driving. Distracted driving is one of the most common causes of fatal car accidents. When you're driving a car, you're in control of a 4,000-pound vehicle going at 50 mph on average. You can't let yourself be distracted because the consequences can be awful. Distracted driving includes eating, drinking, talking to passengers, using a cell phone, grooming, reading maps, and using navigation systems. It's your responsibility as a driver to avoid distractions while driving and keep your focus on the road. Texting while driving. Texting while driving is a form of distracted driving, but it's become so common that it gets its own category. According to the National Safety Council, up to 25% of car accidents are caused by texting while driving. Keep your phone off and your eyes on the road. Drunk driving. When you think of drunk driving, you might think of someone who's completely inebriated behind the wheel. But that's not usually the case. Many people can feel sober when their blood alcohol level is actually too high. Because of this, they get behind the wheel thinking they're okay to drive. Looking for Southern California personal injury attorneys? 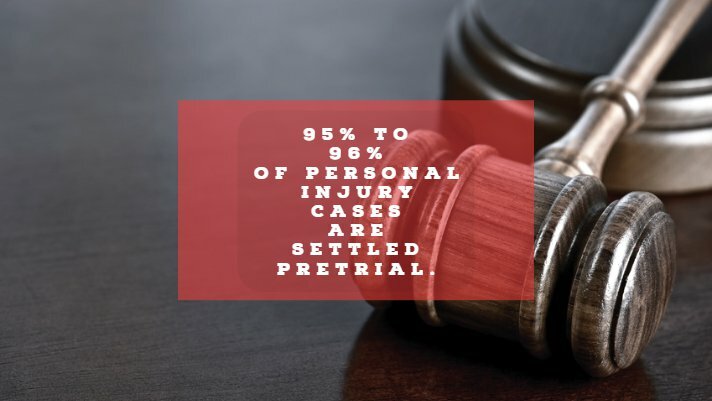 Between 95% to 96% of personal injury cases are settle pretrial. That's why it's so important to look into Southern California personal injury attorneys you can trust to help you understand your personal injury claim. If you were hurt in a car accident that was caused by another driver's negligence or misconduct, you may be entitled to compensation. To learn more about filing a personal injury claim or for legal advice, contact the law offices of Steve Zwick today.